Positioned at 10.0 pm IST, Monday, at 16N and 57.7E. Movement in last 6 hrs: NW. IMD terms it as a depression, core pressure being at 1002 mb now. Winds maintained at 20 knts. Clouding is thick and concentrated in the west of the system, over Oman. Expecting rains in Salalah and Oman coast up to Sur. 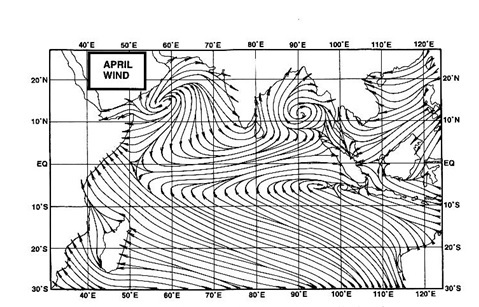 Easterly jet streams are bringing the upper and medium clouds due East over coastal Pakistan and into Gujarat. As estimated, rainfall will be dragged into coastal Pakistan on Tuesday. Having a constant NW track, the clouding is apparently moved away from the Karnataka and Konkan coast (and away from Mumbai). As explained in earlier blog, AS-2 will now move N and skirt the South coast of Oman, due to jet streams direction and wind shear, but as a weaker system. On skirting the Oman coast, it seems the system will weaken rapidly. The Southern UAC which was, as per last posting, just South of the Southern tip of India, has moved NW as anticipated, and now lies over the South Arabian Sea Clouding accumulated along the Kerala coast and Southern tip is due to this system. System will gain, and will be numbered when the system descends to a sea level low by Tuesday. Northeastern US brought to standstill as tree limbs crash onto powerlines cutting power to millions. Storm Highlights and latest video on Mark’s blog…. what baffles me is for this NEM on 2 occassions low over the Bay is failing to cover TN/Andra/Karnataka but instead low is going below southern tip and escaping into Arabian sea - what is the reason? sset: i have noticed the MJO is just about average below the 10N line, thus hosting lows. 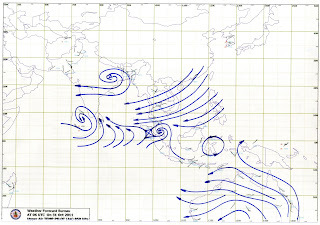 All the lows are formed below this line, south of India near Sri Lanka. @sset, the 'Low' is playing low tricks on the lower section (latitude wise) of this country. How Low should a Low go? Let's have a Low level debate on the Lows. This should help you overcome the low 'baffle' on the lower low. All these discussions around Lows is making me feel Low now, let me go to Lower Parel (is their a Higher Parel?) and get a low down on how to overcome this Low feeling!! anonymous:Well framed..and where have you been lying low till now ? unfortunately, lows are making people low in spirits, but what we want now is low temperatures and low prices.